PLANT BIOCHEMISTRY: An Introduction opens with an introductory chapter on metabolism and how the metabolic processes are compartmentalized to generate diverse metabolites in plants and discusses bioenergetics followed by introduction to plant cell structure and major bimoleculars, highlighting major primary metabolic processes like photosynthesis, respiration, carbohydrate, nitrogen, lipid and nucleic acid metabolism with reference to higher plants. This is followed by secondary metabolites and the transporters involved in their transport. Details of economic importance of secondary metabolites like Alkaloids, Phenolics, Terpeniods, Cyanogenic glucosides, and non-protein amino acids and their biosynthesis are also discussed. The chapter on in vitro production of secondary metabolites introduces various in vitro methods like suspension culture, hairy root culture, biotransformation and use of bioreactor for large scale manufacture of metabolites. Plant Growth Regulators that provide and overview of various compounds involved in the growth and development of plants are also discussed. 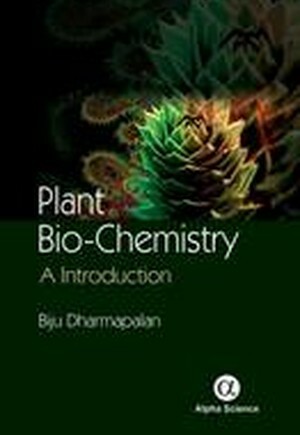 Finally techniques routinely used in the phytochemical studies make the book an ideal text not only for graduates but also for researchers interested in understanding the basics of plant metabolism. This book is written primarily for the undergraduate and graduate level students who wish to gain insight into the plant metabolic process. Introduction / Bioenergetics / Plant Cell Structure / Chemistry of Biological Molecules / Photosynthesis / Respiration / Carbohydrate Biosynthesis / Nitrogen Metabolism / Lipid Metabolism / Nucleic Acid Metabolism / Secondary Metabolites / Transporters Involved in the Transport of Secondary Metabolities / In vitro Production of Secondary Metabolites / Metabolic Engineering of Secondary Metabolites / Plant Growth Regulators / Phytochemical Techniques.